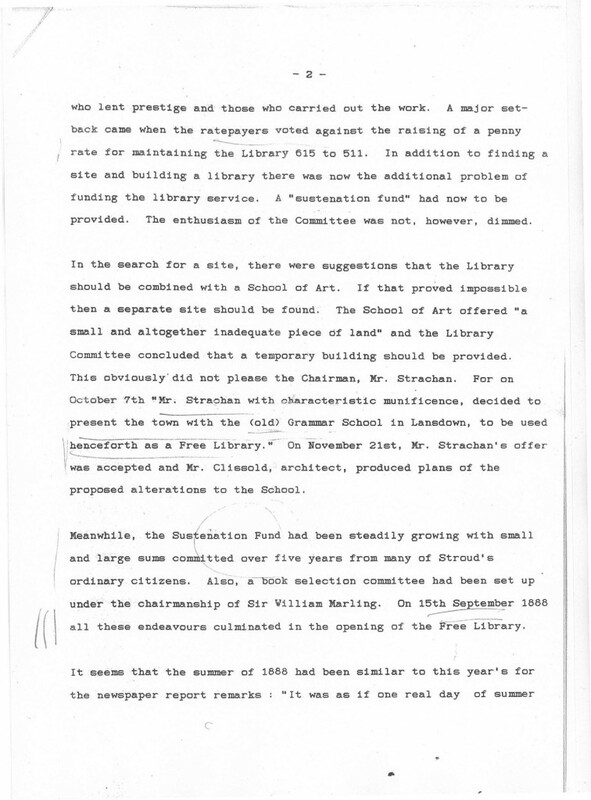 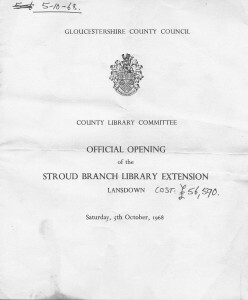 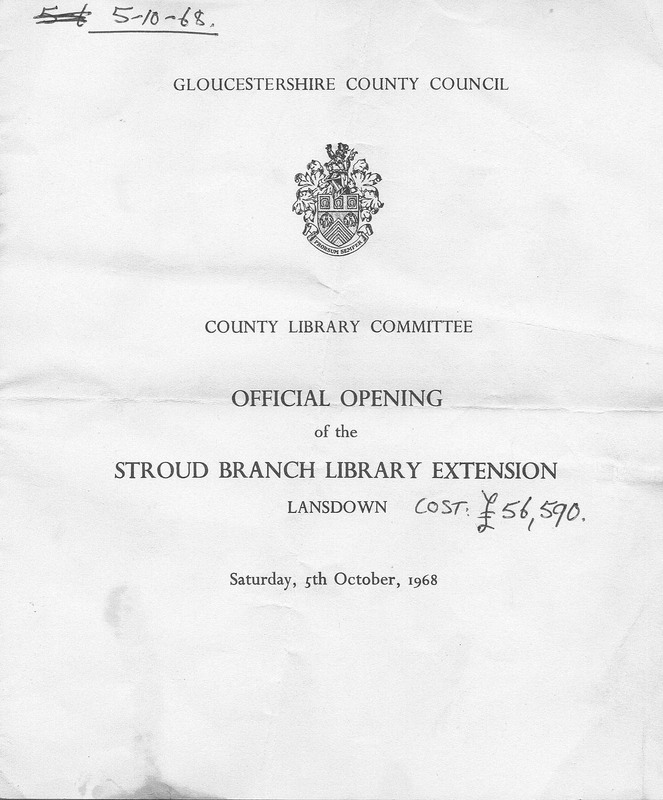 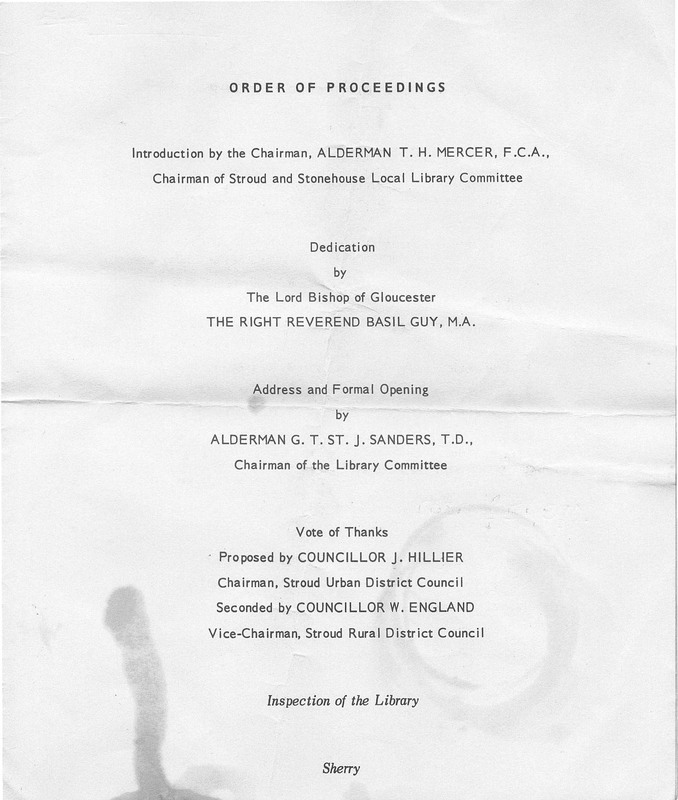 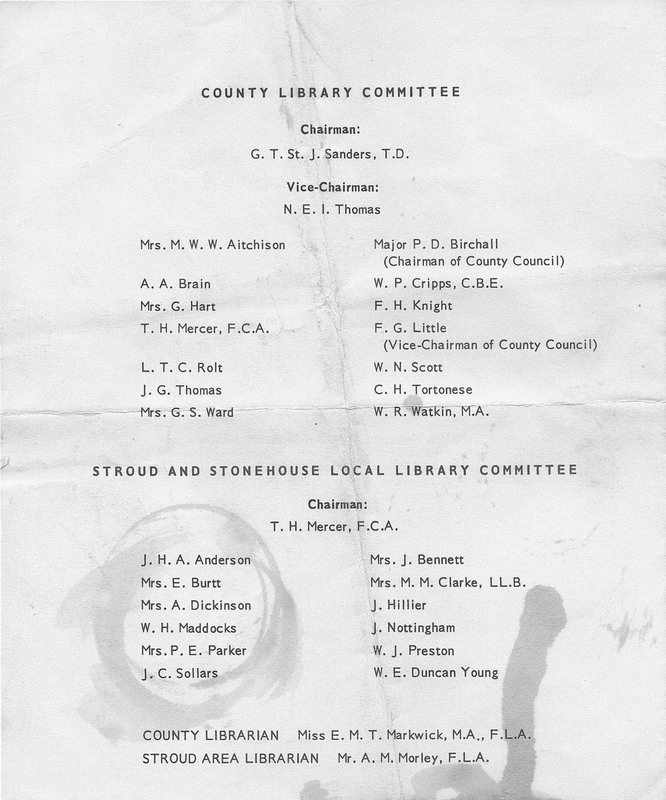 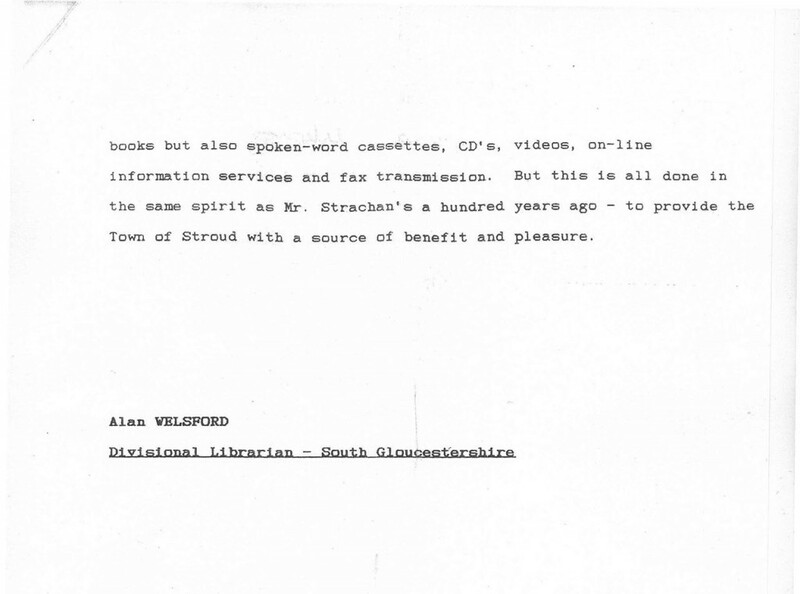 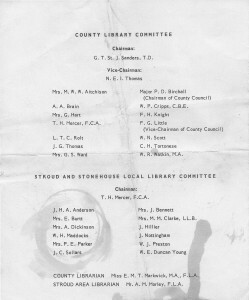 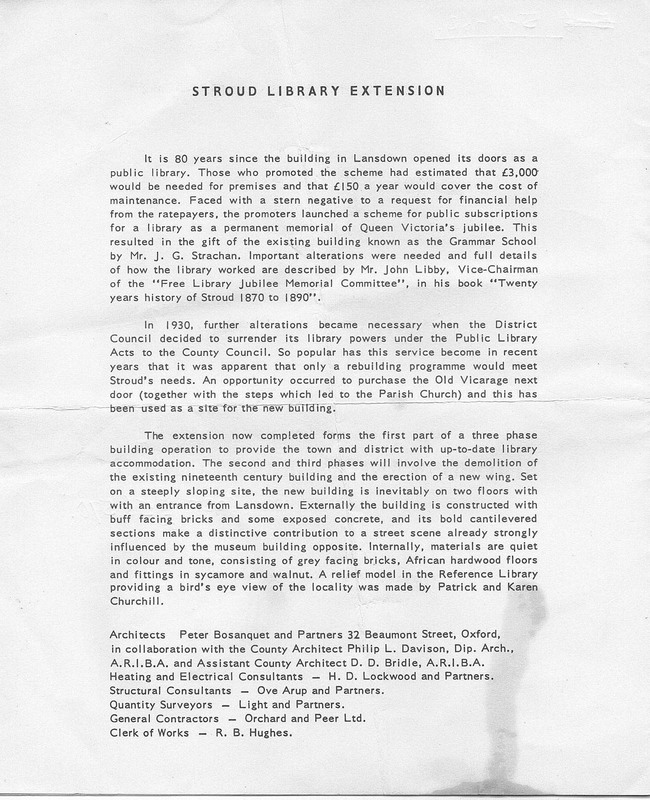 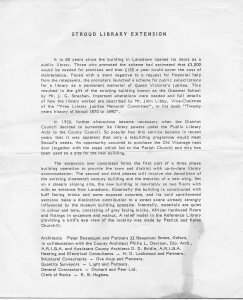 Stroud’s Free Library was here in Lansdown from 1888 to 1968. 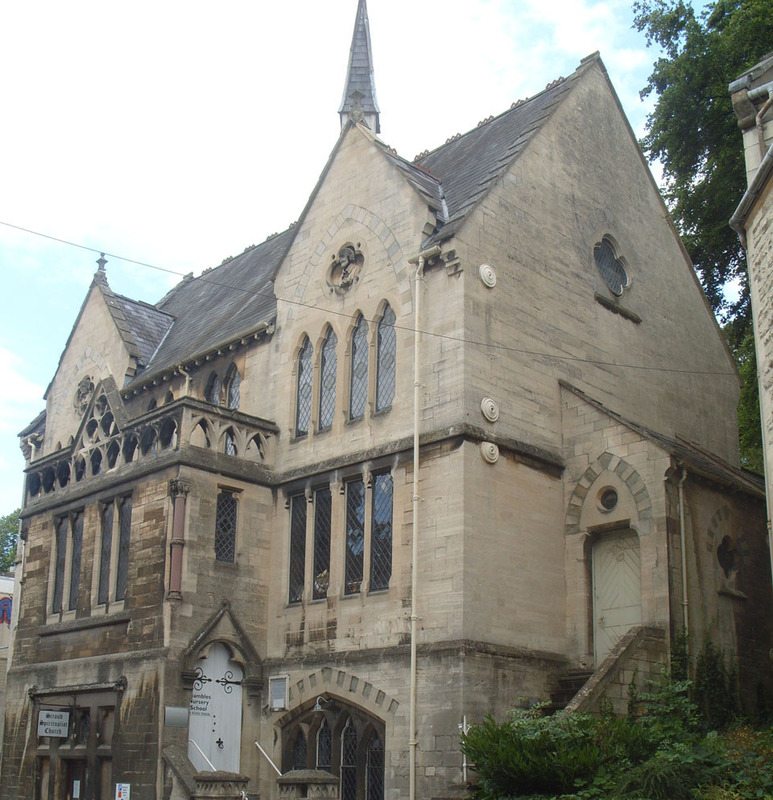 It was built as the Stroud Grammar School in 1873. 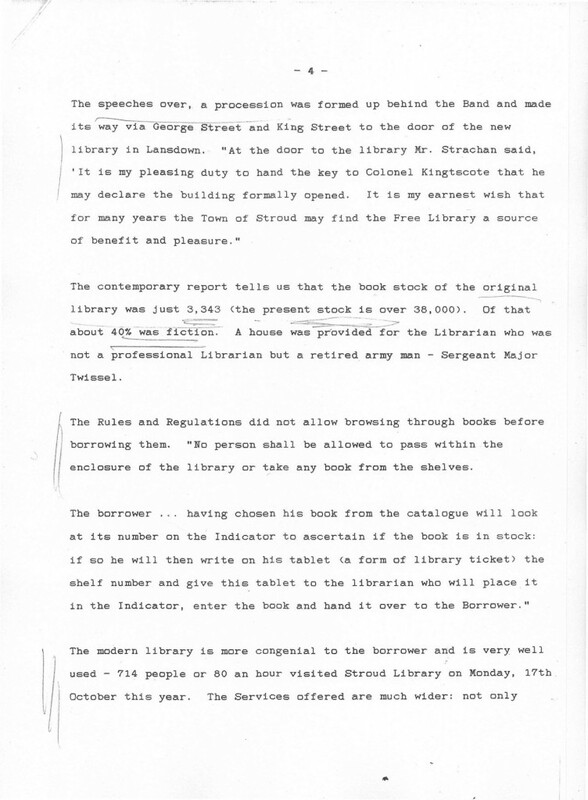 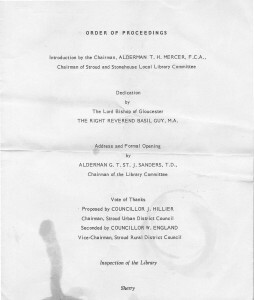 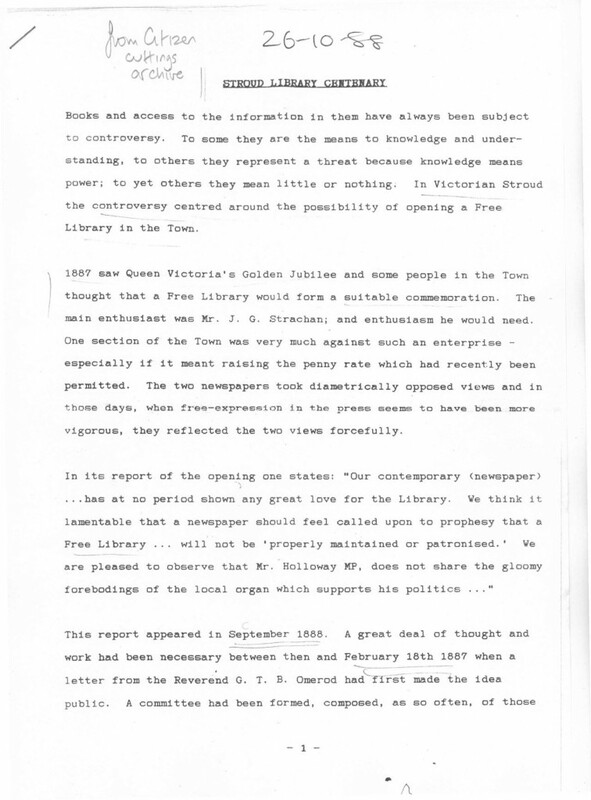 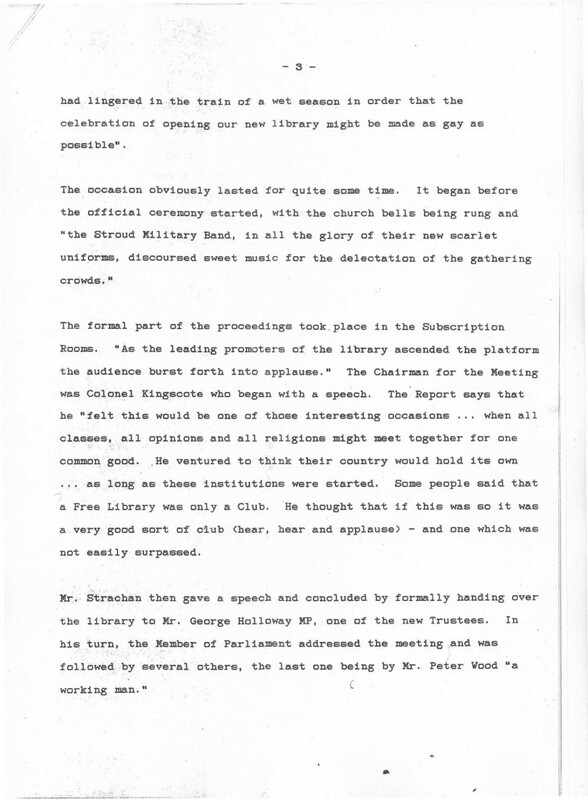 Originally the books were 40% fiction; the borrower chose from a catalogue and the librarian fetched it – no browsing first.